Hello Nosh Show listeners! Episode 99 is ready for you! 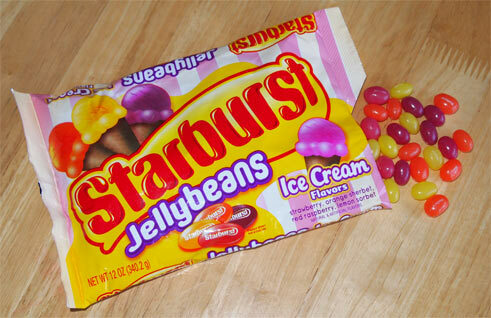 I open up with way too much ice cream talk and then a quick moment on how I do not like these new Starburst Ice Cream Jellybeans. At first I thought maybe I at least liked the lemon and orange ones, but I liked them less the more I ate of them. Thankfully my daughter enjoyed them enough that they won't go to waste! Show Notes: I mention "Welch's grapefruit juice" but I'm pretty sure I was thinking of their passionfruit juice. I also mention my "pricing guide" but I meant my new 2017 ice cream guide (which I just added more stuff too). During the show, Marvo tries to convince me to slice up a pint of Haagen-Dazs Trio for everyone to see... so I did over on instagram. I'm a little disappointed the show didn't get named "Pre-stale Peeps" but Squirt works too. Alright, have a good week everyone, new review tomorrow!